The Brüel & Kjær range of hydrophones is a range of individually calibrated, waterborne-sound transducers that have a flat frequency response and are omnidirectional over a wide frequency range. Their construction is such that they are absolutely waterproof and have good corrosion resistance. Type 8103 – suitable for high-frequency laboratory and industrial use and particularly for the acoustic study of marine animals or for cavitation. 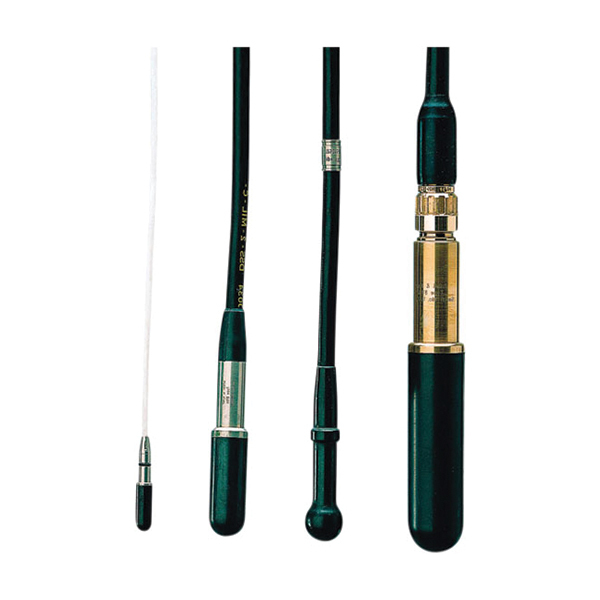 Type 8104 – general purpose hydrophone, also ideal for calibration purposes. Type 8105 – a robust spherical hydrophone usable down to 1000 m ocean depth with excellent directional characteristics. Type 8106 – has a built-in amplifier which gives a signal suitable for transmission over long cables. It is usable down to 1000 m ocean depth.